Sunday morning from 11am to noon. It's Labor Day weekend, and we'll have Art Hildebrand laboring away on the 4MR Stage to bring you a fantastic performance from 11am to noon. He is an acoustic guitarist who performs in the DC area with fellow guitarist Shawn Askin and harmonica player, Joe Weber. The three perform a range of blues tunes, in the style of the great Delta players like Robert Johnson and Muddy Waters. If you like John Fahey, Leo Kottke, Jorma Kaukonen, etc., check out Art Hildebrand. 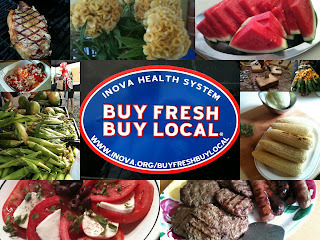 Also, check out this story about area farmers markets and what they bring to their neighborhoods. The story aired on NPR's "All Things Considered" Thursday night and featured 4MRMarket. Baguette Republic is back with breads and baked goods, and market favorite Uncommon Knits will be here, selling their hand woven placemats, napkins, dish towels, and the like. 4MRMarket has our great supply of produce, meat, cheese, crafts, breakfast treats, and more. Grab some goodies, do your shopping, pull up a seat in the 4MRMarket Lounge, and listen to some great live music! 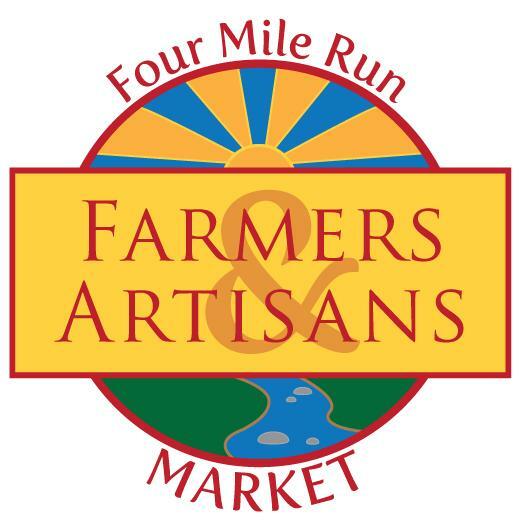 And if you can't make it this weekend, check back the following Sunday as we'll continue to have more surprises for you at 4MRMarket! Bread & Chocolate (Arlandria) - A range of baked goods. C & T Produce (White Oak, VA) - A huge selection of locally grown produce from a locally, family-run farm in Stafford, Virginia. No. 1 Sons (Arlandria) - Produces wild cultured foods by hand in Alexandria. This brother and sister team live in Arlandria and do not heat treat or use preservatives. They make pickles, sauerkraut, dilly beans, kim chi, beets, hot sauce and more that is "Proudly Cloudy". Baguette Republic (Sterling, VA) - A traditional artisan bakery producing a large variety of artisan breads, pastries and cookies using the best European techniques and tradition. Swee Lo (found at the No. 1 Son's Tent) - Sterling silver jewelry handcrafted by Balinese artisans designed by Swee Lo. Josi Essentials Organics (Centreville, VA) - A naturally effective, eco-friendly, line of handmade bath &amp; body skin care goodies. Her products are made with bio-dynamic, natural botanical active ingredients. HELP. If you'd like to volunteer with the 4MRMarket, go to: volunteer.4MRMarket.org to sign up or look for the "volunteer" tab on our website. You'll be able to volunteer to help process SNAP/EBT sales, help us keep our books, help set up or tear down for the market, or help us find musicians to play the market. You can also find a Market Manager to ask to help, or email us at 4MRMarket@arlandria.org for more info. READ. Keep up to date on all the goings on by following 4MRMarket on Facebook or Twitter or via our website and blog. SPREAD THE WORD. Please tell folks about us. And tell folks about some of the great things we're doing. For instance, all SNAP/EBT participants can take advantage of the Inova-sponsored "Double Dollar" program again this year that doubles the first $10 SNAP participants spend at the market. 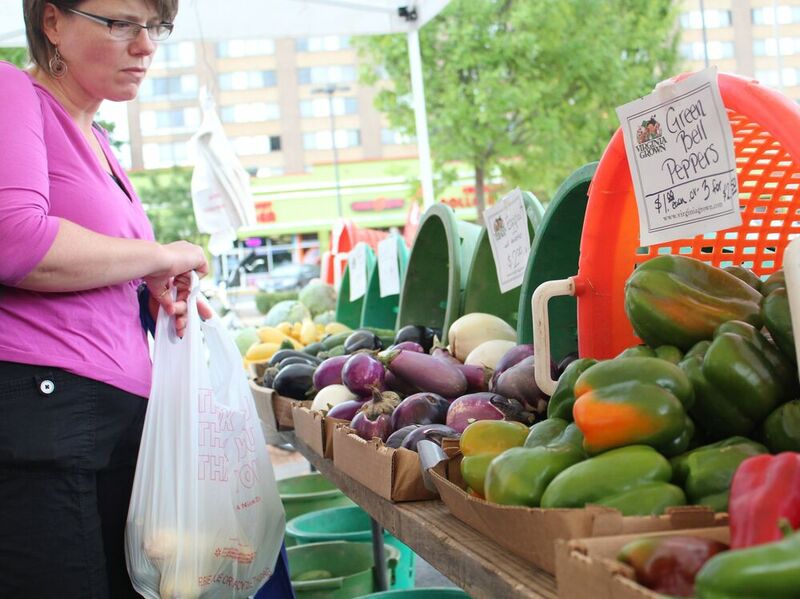 4MRMarket is the first farmers’ market in Northern Virginia (and still the only) to accept SNAP.